SomaVeda Integrated Traditional Therapies®: Holistic, Natural, Clerical Clinical: Dr. James and Licensed, Board Certified, Doctor of Natural Medicine (Ministerial) and Naturopath, practices the highest standards of Pastoral, Clinical Holistic Medicine and Psychological, Emotional Counseling. Dr. James uses both modern clinical biological assessments and test to determine metabolic, organic and endocrine imbalance as well as the entire repertoire of NAIC Authorized Asian/ Oriental Medical assessments from Ayurveda and Traditional Chinese Medicine. Vital Wellness Screening: Assessments currently included in NAIC Comprehensive Wellness and Health Service. As a pastor and counselor he also has access to the entire tool chest of Natural Medicines using plants, herbs, nutrients, light, sound and pressure. As an NAIC Minister, SMOKH Ordained Minister, Board Certified, Authorized Licentiate Holistic Counselor and Monastic Medical Physician and Therapists he brings the entire scope of practice of these varied disciplines to bear. The basic program developed by Dr. J is the Therapeutic Day Protocol. The “Therapeutic Day” program consist of seven different individual sessions, conducted on seven different days. The SomaVeda® Therapeutic Day full protocol with Dr. J also incorporates and exhaustive detox and nutritional guidance program called SomaVeda® Pancha Karma. For a more detailed description of all the components of the SomaVeda® Therapeutic Day/ Pancha Karma Program Click Here! It takes a minimum of a full week commitment to healing to complete the SomaVeda® Therapeutic Day and Pancha Karma. For maximum effect please schedule the sessions as close together as possible. Depending on the complaint, necessity and goals for therapeutic outcomes, D. J creates a unique and personal approach for every client stressing integration of mind, body and spirit. We treat people not symptoms is the maxim. Whether your health and wellness challenge is of the body, mind or spirit natural, spiritually based holistic medicine has an answer for you. Program includes a free initial consultation. If you would like to schedule an initial consultation by phone Call today (706) 358-8646. Complex Decongestive Therapy (CDT): A Premium Service addresses all major known contributing factors leading to the development of chronic edema and inadequate lymphatic drainage. CDT is proven effective in both pre and post surgical as well as providing a possible alternative to surgery for liposuction etc. For a more detailed description of our CDT program Click Here! To review Dr. James Bio and Credentials Please Click Here! Please Note: To schedule strict SomaVeda® Thai Yoga Sessions please refer to either the Apprentice or Student prices and programs listed above. Call (706) 358-8646 for availability of either an Apprentice Advanced Practitioner or Student clinic. All Apprentice and or student practitioners are personally taught by Dr. James and work directly under his direct supervision. Apprentice students are Certified Advanced Thai Yoga Practitioners who are completing additional training and education in Doctoral level studies at The SomaVeda College of Natural Medicine. For a detailed description and discussion of the SomaVeda® Natural Wellness Program Philosophy Click on this link. SomVeda® may well be the most important new approach to your health and over all well being! In an effort to provide customized and personal service we are also providing the following enhancements for you specifically selected wellness and care protocols. 1) Bio-Testing/ EAV/ EDS: Electrodermal Screening, ECG-EKG, Bio Impedance Analysis (BIA), Pulse Oximeter, CLIA Waived Non-invasive Medical Testing Screening for Wellness and Health (By appointment with Dr. J only at this time). Click Here for List of available clinical assessments! 4) Photo-biomodulation: (PBMT), Natural Light and Far-Infrared: The modality is a high intensity, LED (light emitting diode) unit, intended for the treatment of chronic pain by emitting energy in the near-infrared (near-IR) spectrum. This includes: the temporary relief of minor muscle and joint pain, arthritis and muscle spasms; and relieving stiffness, promoting relaxation of muscle tissue and temporarily increasing local blood circulation, where applied. We understand and are dedicated to the principle that light provides the power for all life on earth. We believe the quality, delivery and control of light is essential to the wellness of the human race and our advancement into the future. To this end we are pleased to offer the FDA approved consumer version of the Far-Infrared as a viable alternative to the cost and complications associated with the overuse of NSAIDS for persistent minor pain relief. The premier hands on energy based therapy for Energy Based Ischemic Trigger Point and Myo-facial Pain Syndromes, Headaches, Back and Neck Pain, Rehabilitation of Scar tissue, Fibrylmyalgia and or similar patterns of energy imbalance or disturbance causing physio-energetic/ Somatic dysfunction. 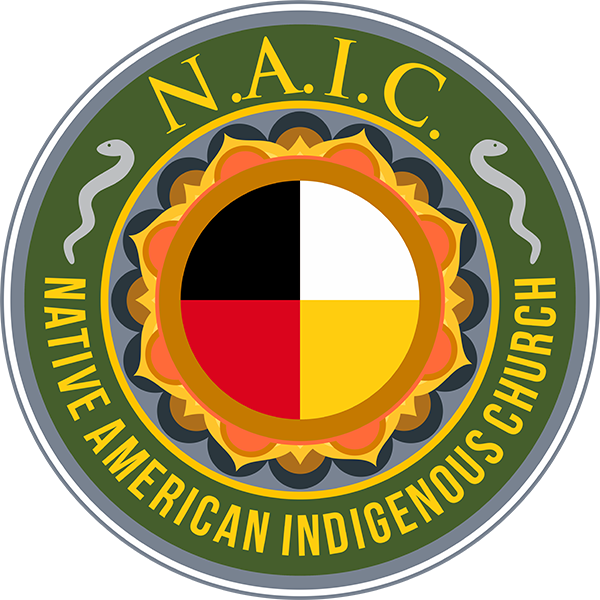 All sessions performed by NAIC Authorized Blessed Medicine Person. This work is generally done in series of six treatments and may involve the use of electrophoresis, EAV, electro dermal screening, EAD/ EDS, electro-dermal therapy, hot and cold fomentation, Far-Infrared Light (PBMT), Bio-Magnetic and PEMF Pulsed Magenetic Therapy, Vibratory Therapy, Passive and assisted Stretching, Paraffin application and administration of topical analgeisics, Complex Decongestive Therapy, Galvanic and Iontophoretic treatment, supplementation and detox protocols. The SomaVeda® OPT™ tool set includes many traditional and modern innovative methodologies to bring harmony and correction for low oxygen significant traumatic and metabolic induced disorders and syndromes. Reduction of pain, increase in range of motion, reduction in referral pains such as migraines and back pain may be significant and immediate. Perfect for Sports and work related injuries and dysfunction. Appointments after consultation only. The SomaVeda® TAELR™ tool set includes many traditional and modern innovative methodologies to bring harmony and correction for low oxygen significant traumatic and metabolic induced disorders and syndromes. 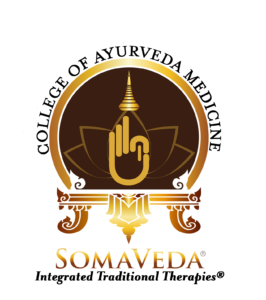 Traditional SomaVeda® TAELR™/ IASTM (Instrument Assisted Soft Tissue Massage) tool/ instruments include but are not limited to “Tok Sen, Dewy Mai Sen, Gua Sha (Thai Acupressure/ “Jap Sen Nuad”) , Cupping, Bamboo Stick, Roller, Whisk” etc. Reduction of pain, increase in range of motion, reduction in referral pains such as migraines and back pain may be significant and immediate. Perfect for Sports and work related injuries and dysfunction. Appointments after consultation only. A great add-on, to maximize any basic counseling service. Included in most of our deluxe sessions. Please, request when booking initial service to cover extra time and set up required. Steaming loosens dead skin cells and softens embedded dirt and sebum. It relaxes the whole body and is mentally refreshing as well. 8) PEMF/ Bio-Magnetic Therapy:PEMF devices use electrical energy to safely direct magnetic pulses through injured tissue. Each magnetic pulse induces an electrical signal that stimulates cellular repair. The US FDA accepted using PEMF devices in the healing of non-union bone fractures in 1979, urinary incontinence and muscle stimulation in 1998, and depression and anxiety in 2006. PEMF devices are used to increase energy levels in all cells of the body. PEMF devices can offer an increased immune response. White blood cells are stimulated by PEMF devices. This helps them move actively to catch bacteria and other pathogens. The desired effect can depend on the power and intensity of the magnetic wave produced by the PEMF device. Our PEMF therapy uses natural magnetic energies to bring wellness and pain relief among other benefits. We use both single and multiple emitter devises. Contact Natural Wellness Solutions Directly by E-Mail Click Here! Please note: We do not see or provide services to the Public. 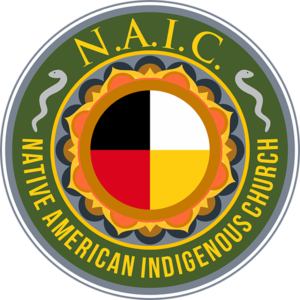 Private specialized ministerial services and or counseling provided exclusively by and to NAIC Authorized members. Active NAIC APM membership required for any and all consultations and or services, exchanges etc.